The most delightful raw and frozen treat. 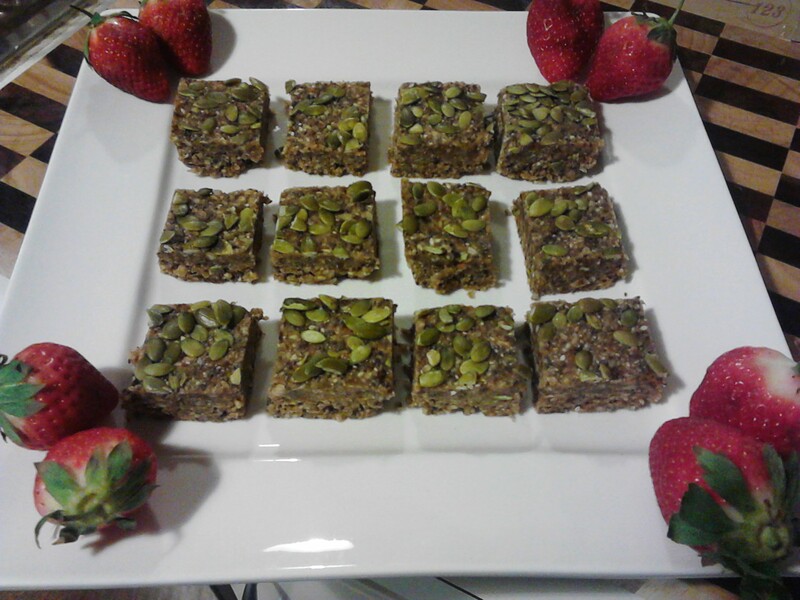 The lime and cinnamon flavours infuse through the slice which are firm, wholesome and delicious. The juice and zest of one large or two small limes. 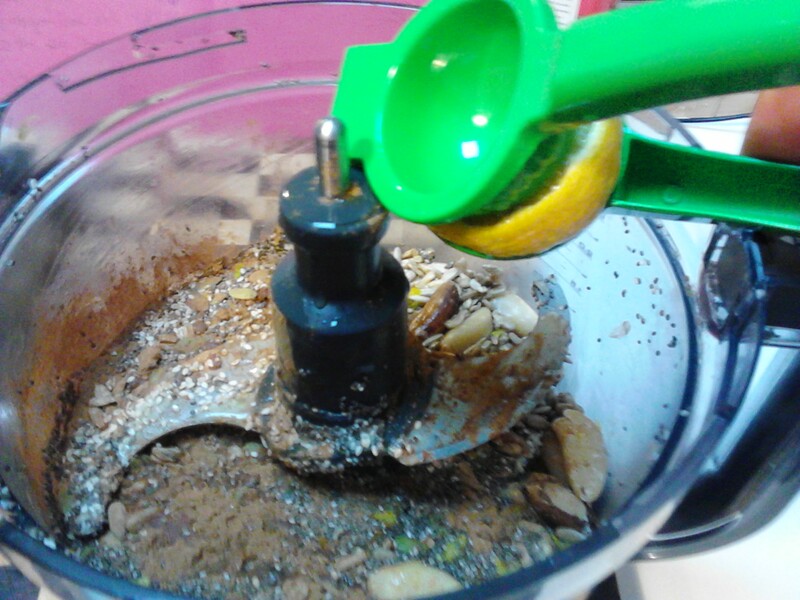 Everything goes into the food processor. Place everything into the food processor and pulse to the desired consistency. 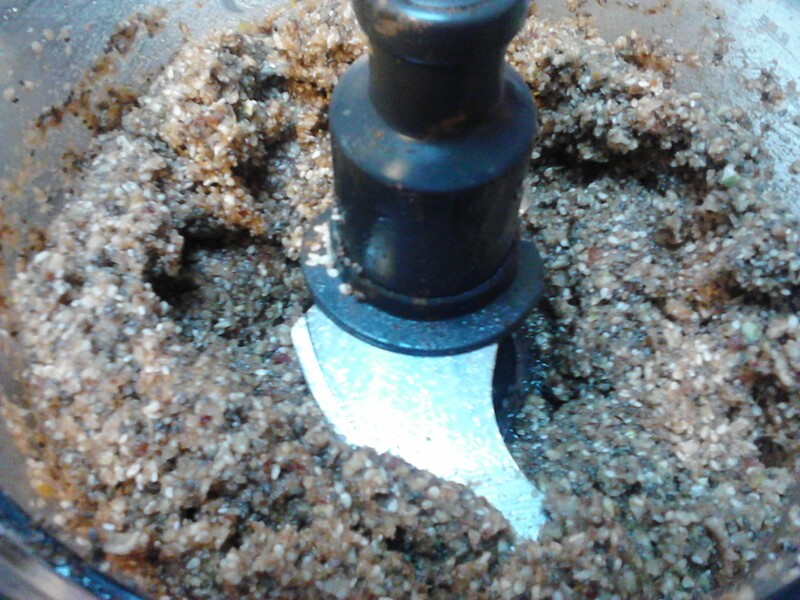 The soft dates, coconut oil and honey should be blended in well and the nuts broken into small pieces. Press the mix into a baking dish lined with baking paper. Mine was approximately 22cm and was a glass dish. 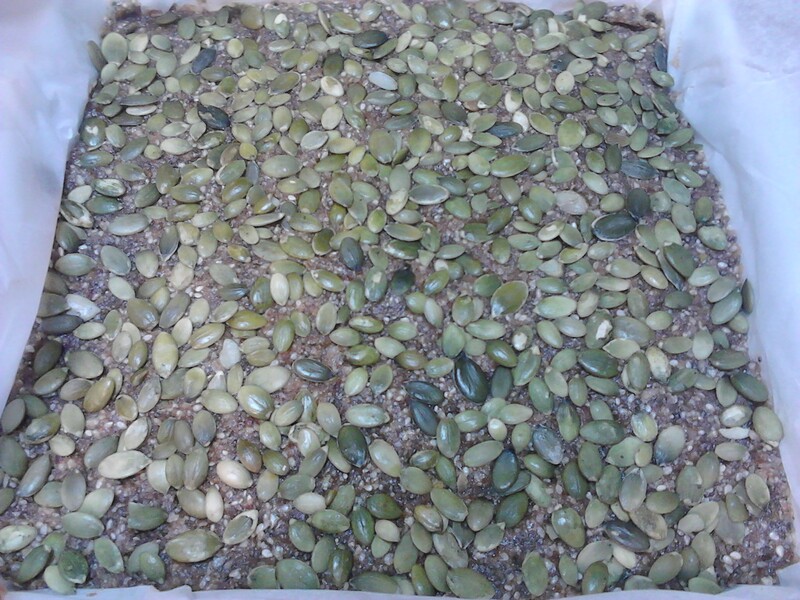 Use the spare pumpkin seeds (pepitas) to decorate the top of the mix. 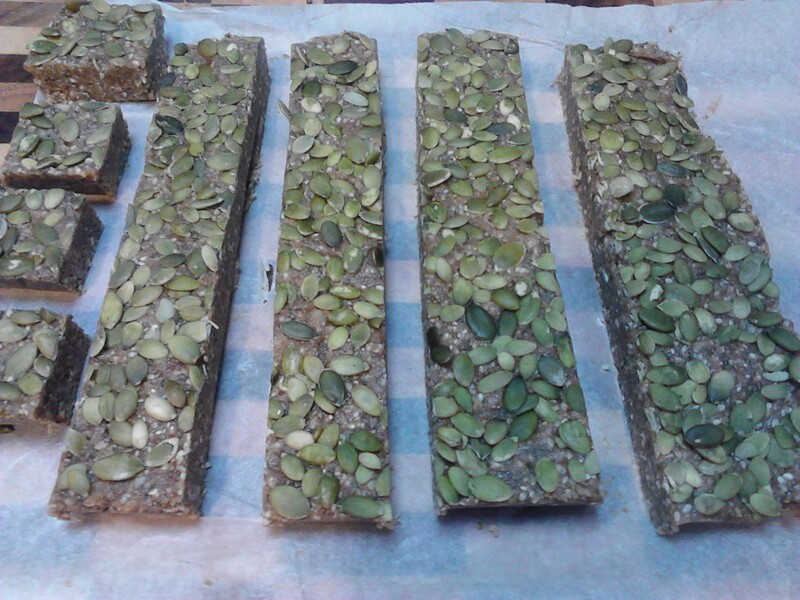 Push the pumpkin seeds into the top of the mix to decorate. Place the mixture into the freezer for about an hour. Lift the slab out of the dish by grabbing the edges of the baking paper. 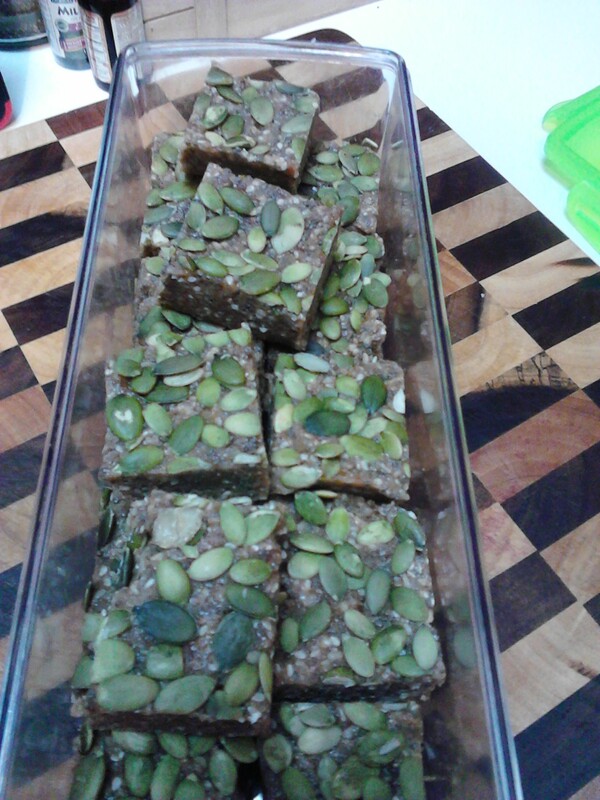 Using a sharp knife cut the mix into long bars and then squares. After you have had a taste test, place the rest of the slice into a container and store in the freezer. You will be able to stock up the freezer and pack these in the lunch box. I have found that the lovely lime flavour is enhanced over time, with an enticing hint of lime, which reminds me of the feeling l get when l am drinking a beautiful herbal tea.